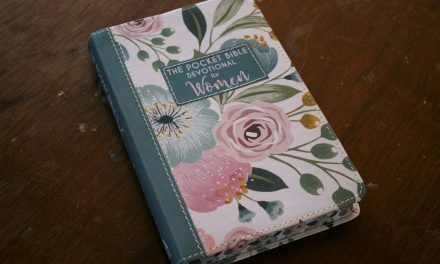 In many ways this devotional is like the Pocket Bible Devotional for Women I recently reviewed (review here). 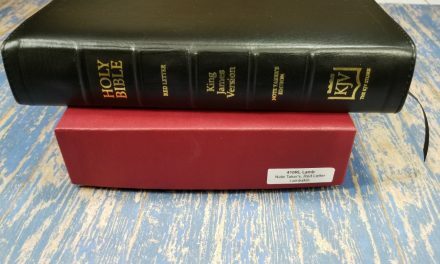 This devotional measures about 7.1″ x 4.75″ x .75″ and weighs a little less than 12 ounces with a sewn binding and a ribbon bookmark. 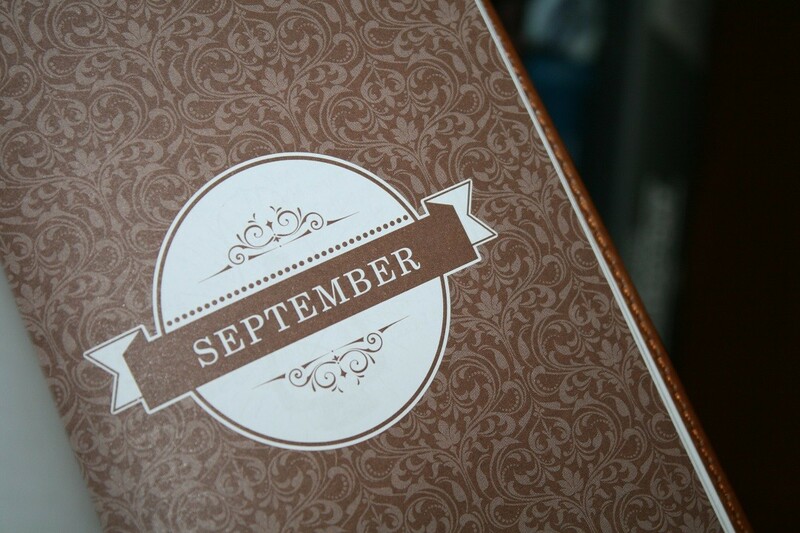 It is covered in two shades of brown LuxLeather and has gold lettering and accents. The page egdes are done in a brown pattern and all the ink inside is dark brown. There are 366 devotions in The Pocket Bible Devotional for Men, each on it’s own page. Every devotion is focused on a single topic and scriptures related to that topic are included taking up about 2/3 of the page. 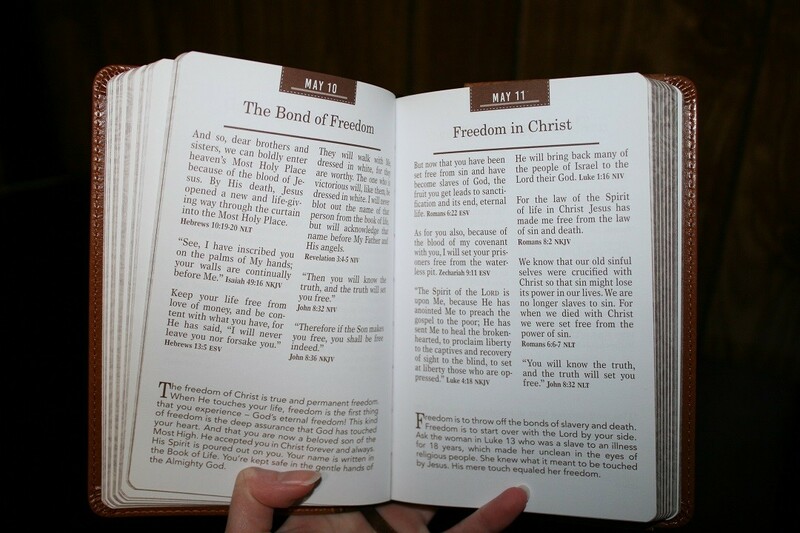 The bottom 1/3 of the page includes a reflection (or short devotion) on the topic in single column format and is printed using a different font to make it easy to distinguish from the scriptures. They use four different translations; the NIV, NLT, ESV, and NKJV. It is divided up into 12 months with each having a title page at the beginning and an illustrated scripture on the back side of that page. Every month starts on a right hand page so the ones with an odd number of days (including February) ha ave blank page at the end. 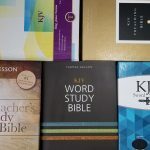 A list of all the included topics from Abundance to Zeal can be found at the back of the book with the date of that topics devotion and 14 of the topics got 2 devotions. 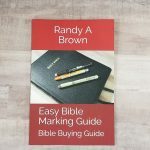 Since this is a Men’s devotional and since I’ve already given my opinion of the women’s version I thought it best to include a few of Randy’s thoughts while reviewing this book. I thought an interview format might work well for this. Lucinda: What was your initial thought on seeing the Pocket Devotional for Men? Randy: I was drawn to it because of the design. I like the color and design of the cover, the thick paper and the font that doesn’t have a high contrast, and the clean layout. The overall size is something I want to pick up and carry. Lucinda: Do you have a favorite feature? If so what is it? 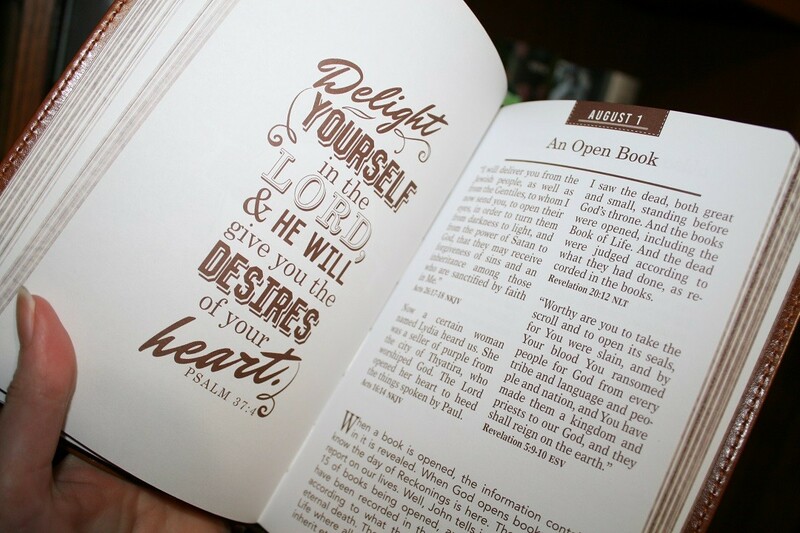 Randy: I like the design of the devotionals. They give a title, which describes the topic, and then Scripture, and then a paragraph about the topic. The focus is on Scripture. 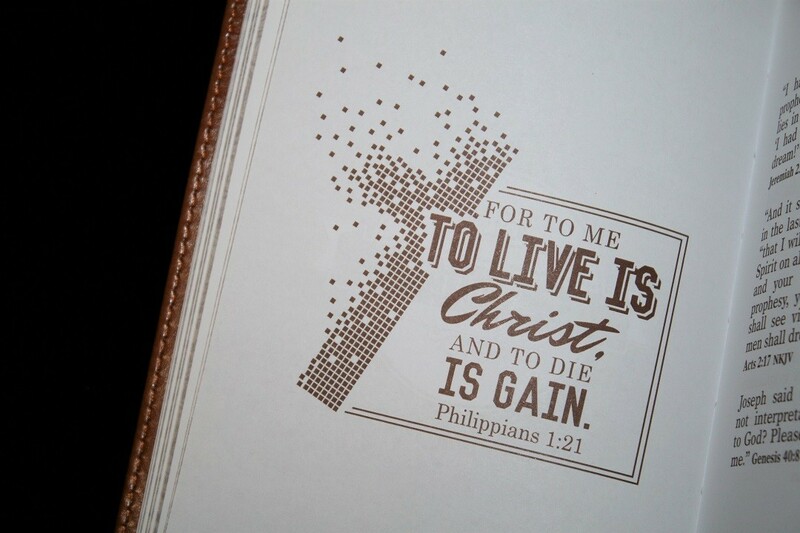 Scripture is the best devotional. Lucinda: Do you like the choice of topics covered? Randy: I do. These are topics that apply to everyone. Many of them cover our daily walk with God and the things we face every day. There isn’t much theology covered. What is here is more of a passing mention, leaving open multiple points of view. I always recommend you do your own study with prayer. Randy: I love that idea. They’ve chosen the translation that conveys the point the best, and that’s really the advantage of using multiple translations in the first place. That’s why I recommend reading and studying from more than one translation. We see things we wouldn’t have noticed from just reading one translation. I’d like to see the KJV added though. It’s such a beautiful translation that it feels missing. Lucinda: Do you have any plans for the 8 blank pages? Randy: I’d like to create my own devotional for something that mattered to me in that month. It could be an event or something that I’m going through. I might not write out the entire verse though. Lucinda: Is there anything else you’d like to point out to our readers? 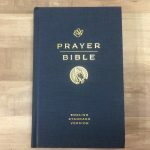 Randy: This, and similar devotionals, are great for devotions, but they shouldn’t take the place of reading God’s Word with prayer. Use this as a suplement to your reading – not in place of your reading. Also, read the Scripture in context. After reading the devotion, open up your favorite translation or two and read the entire passage- ignoring section headings and verse and chapter breaks. 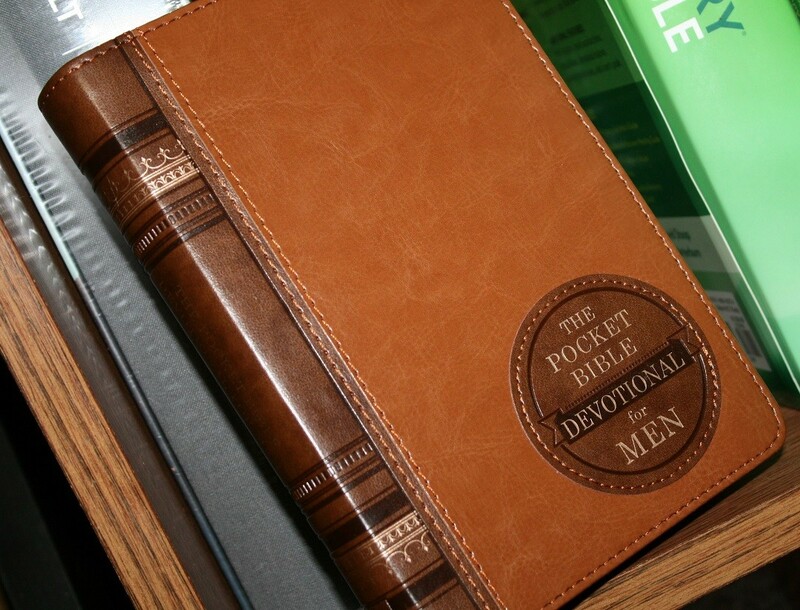 The Pocket Bible Devotional for Men is a nice basic devotional in a beautiful cover. These short devotionals put the focus on Scripture and give you a great starting point for further study when time allows. 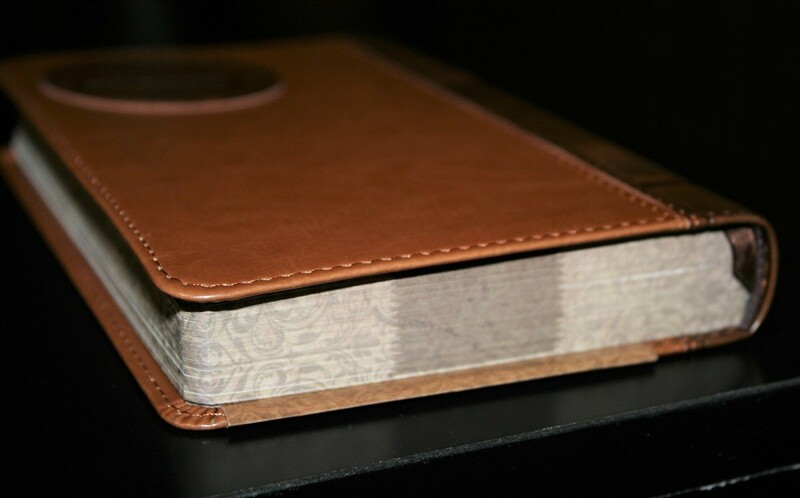 This would make a nice addition to many men’s devotional libraries as well as a good gift. 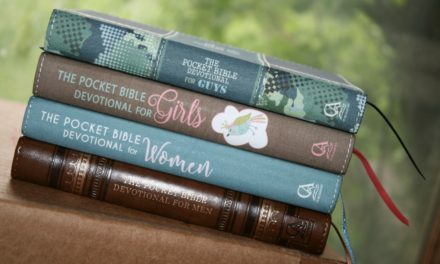 A review of the 2 other devotionals in this line the Pocket Bible Devotional for Guys, and the Pocket Bible Devotional for Girls will be coming soon.